When I was 16 years old, I had the privilege of traveling with my high school choral and instrumental ensembles to France, England and Ireland. It was a remarkable and life-changing journey. Because of that opportunity in my youth, I learned to appreciate other cultures, to absorb the historic beauty of European cities and countryside, to make life-long friendships and to create music beyond anything I had ever experienced. In part this is why I have accepted the invitation to lead the Notes of Joy festival - hoping to help make the same kind of opportunity available to other singers. 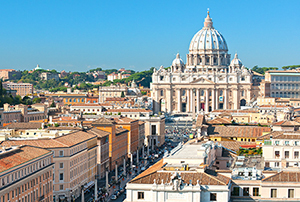 Perhaps there is no-where better in the world to take our music than to Italy - the source of so much of our music and inspiration. An invitation to Choral Odyssey Greece! 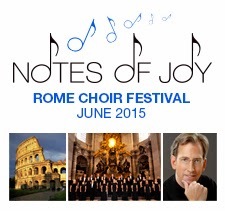 Join us on our choral odyssey to the land of Homer and Euripides. Explore the land of Zeus, Apollo, and the other Olympian gods. View the structural perfection that defines the Parthenon. Imagine the ancient Colossus presiding over the harbor at Rhodes. Artists remember that Greece is the home of the Muses: writers continually search for their muses, travelers visit museums, and those with free time amuse themselves. We will make music in the land of Orpheus! 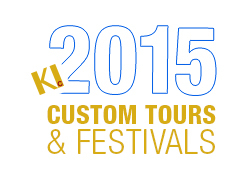 Join us in Athens and on the Greek Islands Cruise in June, 2015! 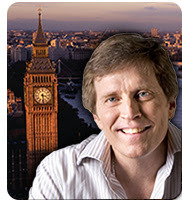 Touring and performing in the great cities of Europe creates wonderful lasting memories. I would be delighted to have you join me in an incredible singing opportunity as we explore the sights of Paris, the magnificent City of Lights, as well as the charming town of Versailles, home of the famous palace of the French royalty. 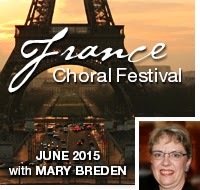 We will present festive concerts in both Paris and Versailles. Hearts will be moved as we travel to Normandy to visit Omaha Beach and the American Cemetery overlooking the English Channel. Here we will remember and honor our fallen World War II heroes in a moving musical tribute. A visit to Europe is incomplete without a visit to France. How exciting it will be to share this visit with you! Let’s sing together in Ireland in 2015! 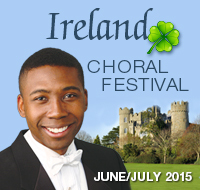 I wanted to let you know I’ve chosen Ireland as the location of my 2015 international festival. It is a land of magic, whimsy and history - a place that celebrates culture as an integral part of the spirit of its society. Consider joining me as we meet and perform for the people of Dublin and Belfast. 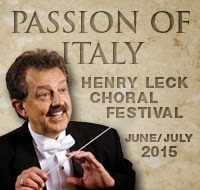 We will immerse ourselves in their culture and share the music of both lands in our gala and individual concerts. International festivals of this nature are wonderful ways for singers to take the world stage, sing in grander combined festival choir venues and present their own choir’s gifts and talents. Click for more information and be in touch with KIconcerts for customized proposals. Join me for a once in a lifetime event to one of the world’s leading tourist, entertainment and cultural cities – BARCELONA, SPAIN. 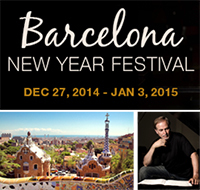 The timing is perfect – over New Year’s 2014! 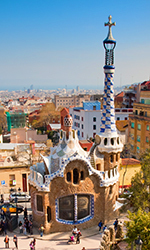 Barcelona enjoys a temperate climate, some of the most striking architecture in the world, breathtaking venues and a population that loves music and culture. This festival is a chance for full choirs, or parts thereof, to combine for a gala concert which I am honored to be conducting. Of course, individual venues and performances can also easily be arranged. 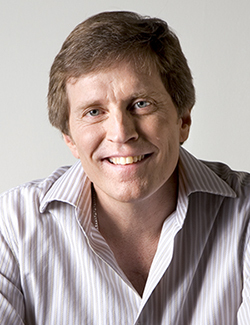 I will enjoy the chance to present some of my music, to work with your choirs, and hear you in concert. Great location! Great time of year! Great venues! I am excited to let you know my London/Harrogate International Festival in 2014 is welcoming full bands and choirs as well as smaller groups of instrumentalists and singers if your full ensemble cannot join us. We depart North America on June 22, with our London Gala concert scheduled for the amazing Central Westminster Hall on June 26 (TBD - check out the virtual tour). Our Harrogate Gala concert on June 29 is the curtain raiser for the 2014 Harrogate International Festival! In between our great British touring and Festival Ensemble rehearsals there are opportunities for individual and shared concerts. It would be terrific if you might consider joining me for this great musical and cultural experience. The last two international festivals with KIconcerts were tremendous successes – the Sydney Opera House in 2008 where we premiered Angels in the Architecture commissioned by KI and in 2011 in Italy where the finale performance of Vesuvius in an ancient cloister was a triumph! Feel free to be in touch with me about musical questions and with KIconcerts about the touring aspects. See below for more information and feel free to be in contact with me regarding the music and with KIconcerts for touring information. “This meditative and deeply moving celebration of illumination in all its meanings - spiritual, intellectual, artistic - has enthralled singers and audiences throughout the world since its premiere in 1997. Based on timeless texts from the Latin liturgy, the Lux Aeterna reminds us of those things that ennoble us and give us solace and strength as we experience both sorrow and joy. Composer Morten Lauridsen and Voices Across the Pacific invite you to come sing his radiant Lux Aeterna (Eternal Light) in the Sydney Opera House led by distinguished conductor Heather J. Buchanan. Join us for a uniquely Irish musical experience in the Republic of Ireland as well as Northern Ireland. 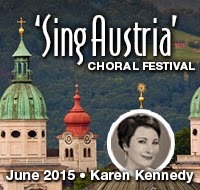 In June 2014 I will lead a choral festival in central Europe and invite you to consider joining me. 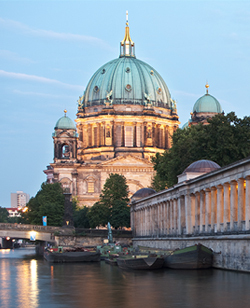 Our individual performances and gala concert will be staged at the Berlin Dom with other concert opportunities for those that seek them in Berlin and in Prague. Perhaps the opportunity for international travel and music-making has shaped my life as a professional musician as much as any other experience. Seeing the world through other cultures and singing in some of the globe’s great venues are life-changing experiences, whatever your path in life. Bring your full or touring choir if you can – or bring singers to join in the combined performances if the full choir is not able to come with us. I hope you will consider singing with me while we explore Europe. My musical colleagues in Southern Germany have invited U.S. choirs to return to Bavaria for an outstanding youth choral symposium in June 2014. The Bavarian Invitational Youth Choral Festival will again be hosted by the historic village of Altötting and singers from Maria Ward Schule. 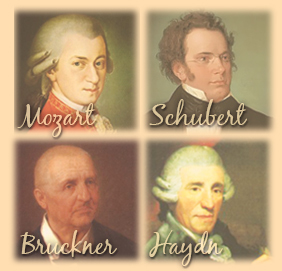 The symposium features the study and performance of works by the major composers of this culturally rich region - Mozart, Schubert, Bruckner and Haydn! You are invited to join other U.S. High School, Collegiate and Community Choirs and scholars from the Hochshule für Musik und Theater München (University of Music and Performing Arts Munich) and the Universität Mozarteum Salzburg (the University of Music and Dramatic Arts Mozarteum Salzburg) as we immerse ourselves in the works and lives of these famed composers. The visiting choirs and host choir will join with the festival orchestra to learn and perform a representative work from the repertory of each master. The festival will culminate in a gala concert in Altötting and feature tour extensions to the concert halls and churches where these pieces were originally performed! I am pleased to share this invitation to Altötting…to Bavaria…and to the Bavarian Invitational Youth Choral Festival with you. The Bavarian Invitational Youth Choral Festival was created in 2008 as a choral symposium for American conductors interested in a distinctive experience for their singers…one that is able to provide a deeper exploration of Europe’s foremost composers. Alötting is ideally located to host the festival as it rests directly between Munich, Passau and Salzburg…and is only a short drive to such major destinations as Prague, Budapest and Vienna. Altötting is home to the renowned Gnadenkapelle (Chapel of Grace- the most visited shrine in Germany) and the final resting place for the heart of each Bavarian king including “mad” King Ludwig II. We welcome your full ensemble or 20+ interested performers and accompanying passengers (1 complimentary package for every 20). This is a truly unique experience in a city of compelling culture with one of America’s great conductors.